Have you ever walked through a historic part of a city and saw a building and wondered if anyone famous ever lived or worked there? Well, if you live in or plan to travel to Boston, New York City, or Washington D.C. in the near future, IWalked Audio Tours has you covered. 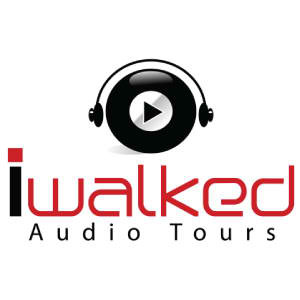 IWalked Audio Tours is a Boston-based audio tour production company that was founded in 2010 by Scott Woznicki. In a June 11, 2012 press release, Woznicki explains that the company was born out of a passion to learn more about his new home in Boston, Massachusetts. “I was inspired from living in London. I found a fantastic series of live audio walking tours that really opened my eyes to the city. I wanted to recreate that experience here,” states Woznicki. For those of you who don’t plan to be in the Boston, New York, or Washington D.C. areas, you can still benefit from Woznicki’s expertise, as he is very active on most social networking sites. If you have a question about the history of a historic building or landmark anywhere in the United States, he’d be a good guy to ask. For full disclosure, I’ve been friends with Woznicki for about twenty years now, as we both attended the University of Wisconsin-Marathon County (UWMC) our first two years in college. In the future, I plan to interview him about how effective each of the social networking sites has been in driving people to his business. In this post, I want to encourage readers to connect with IWalked Audio Tours on Facebook, Foursquare, Google+, Pinterest, Tumblr, Twitter, or YouTube. IWalked Audio Tours also has a very interesting history/travel blog. And, of course, if you are going to be in Boston, New York, or Washington D.C., be sure to take an IWalked Audio Tour. If you are a history buff, you won’t regret it. Trust me.